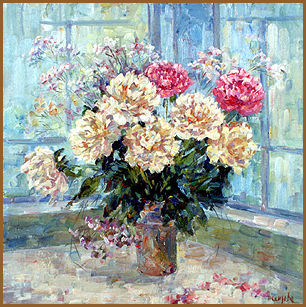 Peonies, canvas, oil, 60x60, 2000. 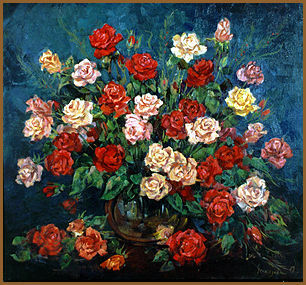 Roses, canvas, oil, 55x45, 2000. In the Garden. 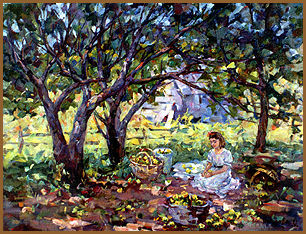 Apple-trees, canvas, oil, 67x52, 1994. 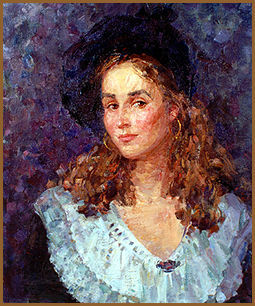 Self-portrait in the Beret, canvas, oil, 60x50, 2000. 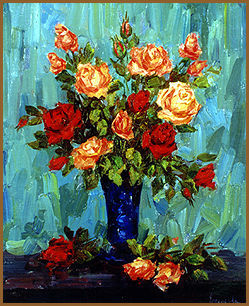 Roses, canvas, oil, 65x69.5, 1999. 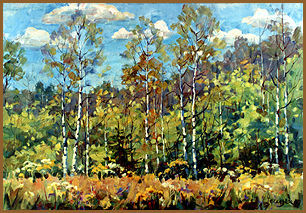 Forest Meadow, canvas, oil, 60x85, 1995. 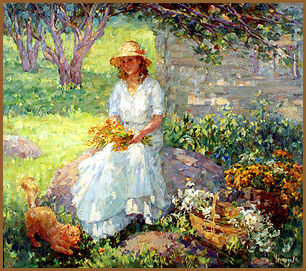 A girl with Flowers, canvas, oil, 80x90, 2000. 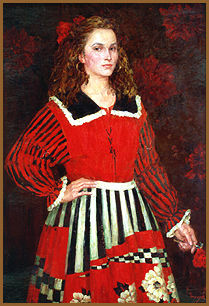 Self-portrait in the Red Dress, canvas, oil, 120x80, 2000.